Whenever I am in Kuala Lumpur, there are 2 modes of public transport I would normally used throughout my trip – the taxi ( cab ) and the Light Rail Transit ( LRT ) train. I would used the taxi whenever I am carrying my luggage, for example from the bus station to my hotel; or when I am carrying a number of shopping bags. Taking a cab is also more convenient if you are accompanying elderly people as they may have problems walking or squeezing through a crowded train. On the whole, I would take the LRT more than cab because it is safe, cheap and convenient mode of transport. The first thing that you can do if you are using the LRT in Kuala Lumpur is to get a tourist guide book. This free tourist guide book can be easily obtained from Malaysia Tourism Office, at the information counter in the Airport and sometimes in good hotels in Kuala Lumpur. The guide book normally would have a route guide and map of the LRT system in Kuala Lumpur. 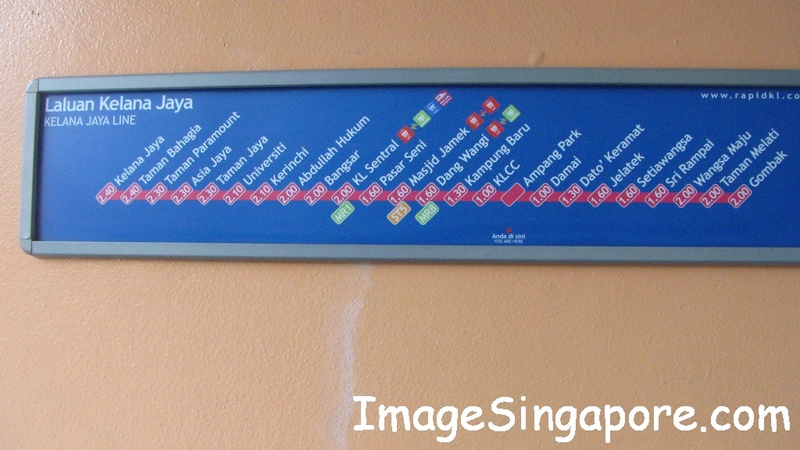 The different routes are differentiate by different colors; and it would also indicate the LRT interchanges where you can take connecting trains to different places in Kuala Lumpur. So if you intend to use the LRT daily while staying in Kuala Lumpur, it would be wise to select and stay in a hotel that is near a LRT station. 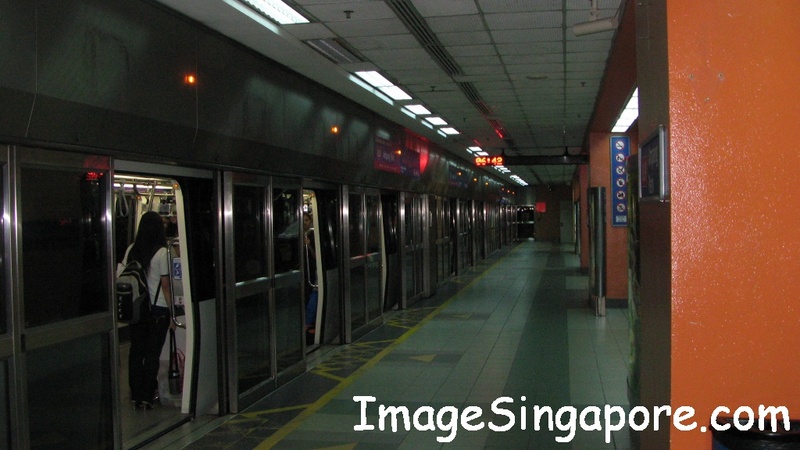 You can take the LRT train from 6 am in the morning onwards and the last train is normally at 11 pm to 12 midnight. When you are in the LRT station and is not sure on how much to pay or the connecting route to your destination, go to the control station and seek the help of the staff over there. Most of the staff are able to speak reasonable good English. During peak hours, the LRT trains are quite crowded and you have to squeeze yourself into the train. However the train frequency is higher during the peak hours – so the waiting time is about 5 minutes interval. During off peak hours, the waiting time for the train is approximately 10 to 15 minutes. 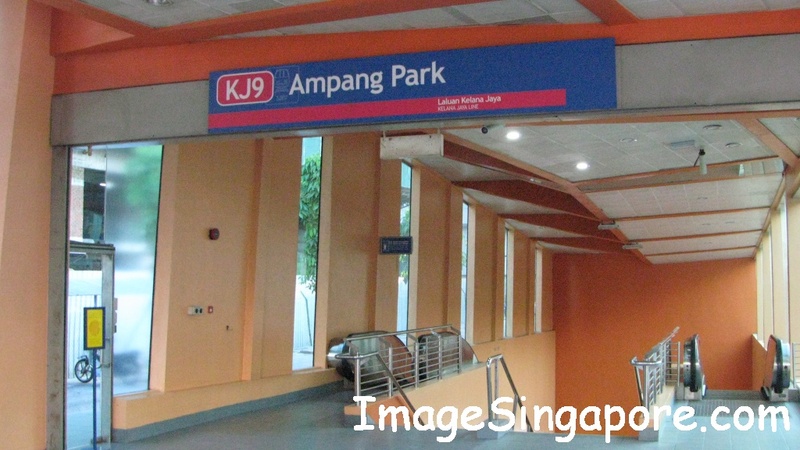 The LRT system in Kuala Lumpur used either the 2 car or 4 car train. Most of time I would see the 4 car train in operation. The 4 car train can accommodate more people and there are 32 seats in each car. So each set of 4 car train can transport about 800 people as compared to half of this amount in a 2 car train. In the 4 car train there are priority seats for the elderly, the pregnant ladies, young kids etc. There is also an area for disabled person on wheel chair to ride the train safely. My view is the the LRT train in Kuala Lumpur is definitely value for money when you need to travel around in this city. But I do hope that the government and LRT operators would upgrade the service and system by having more newer trains and more frequency in service. Now I would write about the taxi service in Kuala Lumpur. 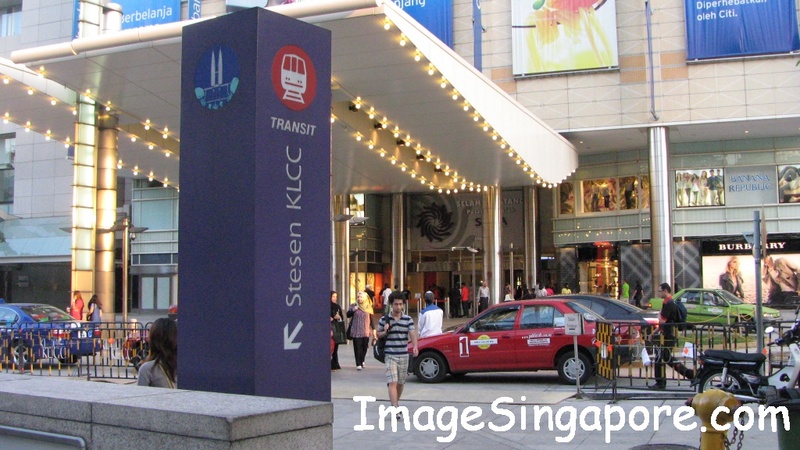 Taxi or cabs are plentiful in KL and there are cabs in different colors and using different types of vehicles. If you see a proton ( Malaysian made car ) being used at taxi, these are normally the budget taxi – sometimes these cabs are old and worn out. If you see a blue taxi using foreign brand cars such as KIA, Toyota and Nissan, then these are Executive cabs and most of them are new and clean. So which type of taxi should you take? If you are looking for comfort, then opt for the Executive taxi. Of course you have to pay more for the extra comfort. The charges is RM6 per entry and RM0.20 for every 100 meter; as compared to RM3 per entry and RM0.10 per 100 meter for a standard taxi. Many of the Executive cabs are using the Multi Purpose Vehicle ( MPV ) which can accommodate more people and luggage. So if you have a family of 6 persons, then the Executive taxi is more suitable for you. The Executive cabs are more spacious, the air conditioned really work ( very cool ) and it is very clean. The drivers of the Executive cab are generally more professional and courteous. I find that the standard taxi drivers have this tendency of quoting you a price for your trip rather than using meters. These taxi drivers can be quite notorious in driving their cabs. The seats of the standard cabs are mostly worn out and the air conditioned is sometimes really pathetic – it is just like having a sauna in a taxi. Taking a cab can be costly especially if you are stuck in a traffic congestion. The city of Kuala Lumpur is notoriously well known for traffic jams. Do take note that the meter of the taxi will continue to tick or run even if the cab is stationery. I have experienced taking a cab and being stuck in a traffic congestion for an hour; the meter would happily run up while I sat in a stationery cab. Anyway if I have to take a cab in KL, my choice would be an Executive cab even though it cost more. I am prepared to pay for more comfortable ride while on the road.